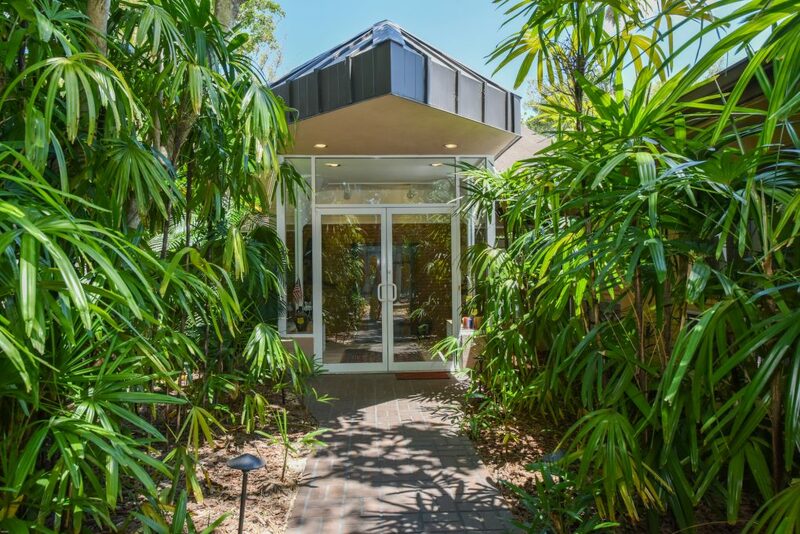 Built in 1957, his mid-century Sarasota School of Architecture styled-home is a tropical wonderland surrounded by banyan trees, bamboo, soaring pines and signature Florida palm trees on Siesta Key in Sarasota, Florida. 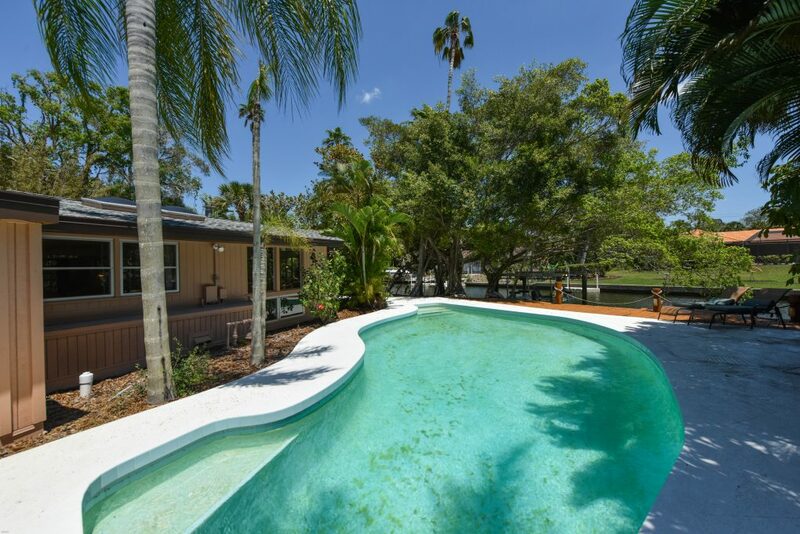 Nestled on the Siesta Key Canal front and convenient to both Siesta Key Beach & Siesta Key Village, this four-bedroom home is a unique architectural find. Past the circular drive, the unique urban entry hints to a special hidden treasure that reveals expansive light-filled spaces that lend to seamless living and entertaining. Angular style delineates the home’s open floor plan with vaulted ceilings, skylights, wood floors, and floor-to-ceiling windows to enjoy tropical vistas abound. 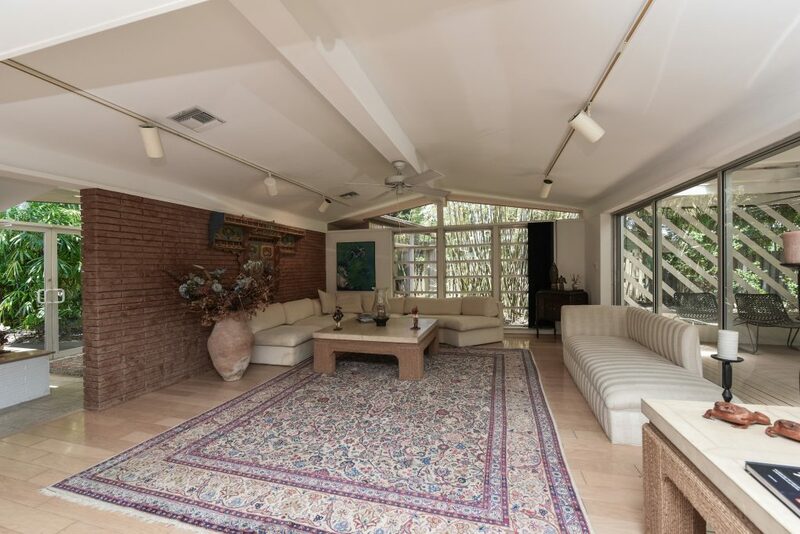 The large kitchen is open to the living areas with a wood burning fireplace and multiple sliders and expansive windows that open to a screened lanai for outdoor dining and lounging. The master bedroom features a large bath with skylights, separate shower and soaking tub, dual sinks and storage throughout. There is a second ensuite guest room with a remodeled full bath and walk-in closet. The home also has 2 additional guest rooms, a 3rd full bath, spacious laundry room and 2 car garage. 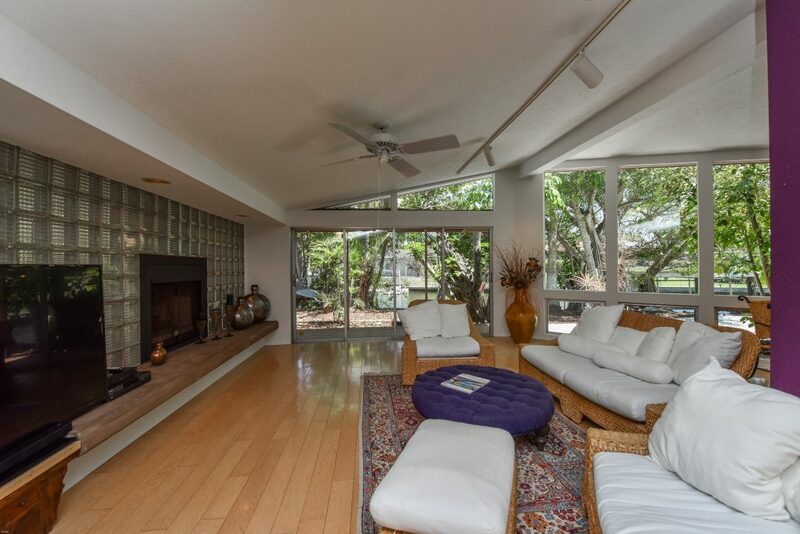 The home is located on boating water with 120 ft sea wall, deck, boat lift, and open-air freeform heated pool. This property is listed for $1,199,900 with Michael Saunders & Co. and is showcased by Luxury Portfolio.